This Yoga program was created by Nischala Joy Devi, a well-known Yoga teacher from the Integral Yoga lineage in California. She was asked by Micheal Lerner to put together yoga-based retreats for his, now famous and award-winning Commonweal Cancer Help Program in Bolinas, California. Later, she was asked to help develop a Yoga program for heart disease patients by Dr. Dean Ornish. His study, the Life Style Heart Trial, proved that a yoga-based program could, in fact, reverse heart disease. Nischala then put her knowledge of both programs together to form, “Yoga of the Heart,” a Cardiac & Cancer Certification Training for trained Yoga teachers. Since I am a Yoga of the Heart certified teacher, I am enabled to teach this program, privately or in hospitals, to heart and cancer patients and other clients suffering from chronic diseases. 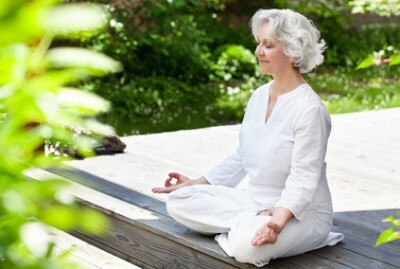 The emphasis of this program is deep relaxation, breathing, gentle Yoga exercises and meditation. The physical Yoga poses are adapted to the special needs of the client. We will use props, such as bolsters, chairs, belts, blocks, cushions, etc. We will also practice different variations of well-known Yoga postures. 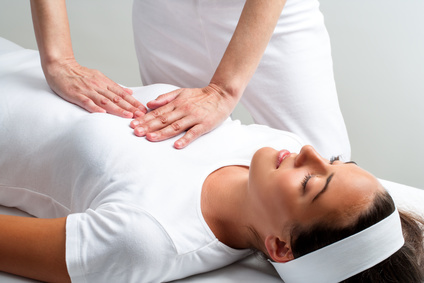 Most clients like to add Ayurveda and Healing treatments to this program. “Verena has helped me during a difficult time in my life. She supported me during my cancer treatments. I am very thankful for her knowledge, experience, sensitivity and heart felt sincerity. She has created a wonderful individualized wellness program- including Yoga and Reiki-for me….” continue. In this 2h30min session we will start with a first trial Yoga practice and conclude with a good long talk. Please tell me about yourself in general and as well as your individual needs and wishes specifically. I will ask you about your expectations and goals concerning Yoga and health. You will also get a first impression of my style of teaching. We discuss the Healing Yoga Program and how it can ideally meet your expectations. I explain the course content, format and general course policy. If all goes well and we both have the feeling that we could work well with each other, we can then set up the times and dates of your 1st Private healing Yoga course block.